AIRASIA has served the operator of klia2 airport with an RM480 million claim for losses incurred at the low-cost terminal because of flight disruptions and the poor condition of facilities. The notice was served today on Malaysia Airports (Sepang) Sdn Bhd (MASSB), a wholly owned subsidiary of Malaysia Airports Holdings Bhd (MAHB). AirAsia said its losses totalled RM479.78 million, mainly from loss of customers in the last four years. The airline decided to seek the claim from MASSB via mediation instead of going to court. In its notice to commence the mediation, AirAsia and its long-haul sister airline, AirAsia X Bhd, said MASSB provided a “poor level of service” at the terminal, resulting in losses and damage to the two carriers. “These include cancellations and loss of revenue from multiple runway closures, apron defects, damage to two aircraft due to malfunctions in MASSB’s infrastructure and sensors, a fuel line rupture at klia2 Pier P, internet outages and loss of customers,” it said in a statement today. The mediation is sought in accordance with Section 74 of the Malaysian Aviation Commission (Mavcom), which requires the dispute to first be resolved in good faith through mediation. Under the act, if mediation fails, Mavcom will arbitrate the dispute. 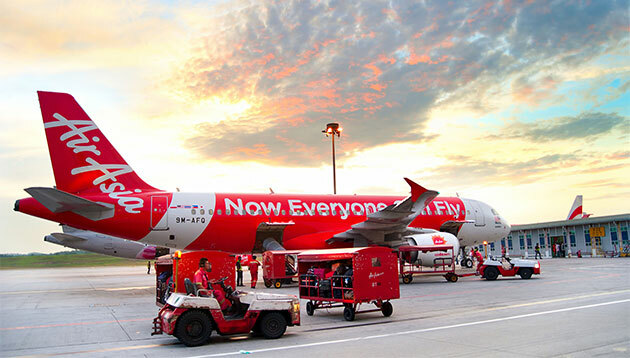 AirAsia and AirAsia X said they hoped to settle the issue amicably and had refrained from filing a counterclaim in court to pursue mediation, as required by the Mavcom Act. Last week, AirAsia said it will file a RM400 million counter-claim against MAHB claiming losses and damages experienced due to operational disruptions at klia2. The counter-claim is in response to MAHB’s action filed last December against the low-cost carrier and AirAsia X Bhd for a combined RM36.11 million for outstanding airport taxes. In its suit, MAHB demanded that AirAsia and AirAsia X remit outstanding airport taxes or passenger service charges (PSCs) for international departures from July 1 onwards. While the PSC is set at RM73 per passenger beginning January 1 last year, both airlines have only been collecting RM50 per passenger. MAHB is now demanding that the airlines pay up the RM23 difference per passenger from July onwards.